It sounded like a good idea. Fine the Oceano Dunes State Vehicular Recreation Area for allowing particulate pollution caused by recreational vehicles. The San Luis Obispo County Air Pollution Control Board would impose a rule with the fines based on a study of how much dust was raised by the off-roading. But critics say that the study is flawed. And emails show that the district has known about the problems with its study. Air quality district air specialist Joel Craig, who authored the bulk of the disputed study, wrote an email in which he said that air quality district board member and Pismo Beach city council member Ed Waage had uncovered mistakes in the study. “Waage figured it out and as I say embarrassed us to our board,” Craig wrote. The air quality district relies on fines and fees to cover the expense of its employee payroll. Of the 21 employees at the air quality district, 19 have salaries and benefits that exceed $100,000 a year. The air quality district has been criticized by those who say its focus is raising fees and fines. For almost a decade, air quality district and county officials have worked to promote an agreement that would subject the recreation area to fines of $1,000 per day if dust blowing from the dunes is not reduced in the future. 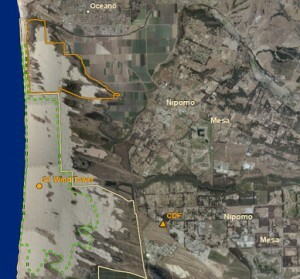 The two local public entities claim they have been working in collaboration with state parks to discover if vehicle use on the dunes increases the level of dust downwind at the Nipomo Mesa. However, emails show they were working in tandem to keep state parks from reviewing or conducting research that could disprove the district’s study. Early on, state parks’ staff and officials said they thought the Phase II study the air quality district created was flawed because of several errors in the district’s methodology. Even so, they agreed to work in cooperation while openly doing additional research. In 2010, state parks, San Luis Obispo County and the air pollution board entered into a memorandum of understanding. The three parties agreed to share documents and any data or analysis with each other, according to the agreement. 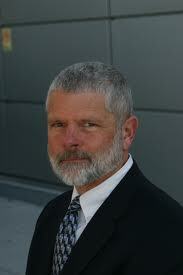 However, emails between air pollution board director Larry Allen and San Luis Obispo County Board of Supervisors chairman Bruce Gibson show they were working together to block the state from conducting a third study of PM10 (particulate matter measuring a diameter of 10 microns or less) pollution levels. After reviewing the district’s Phase II study, the state discovered errors and wanted several changes made. Allen responded with an email to Gibson, who was also the chairman of the air pollution board, in which he contends the agreement does not allow state parks to do research or request that errors in the study get corrected. The district then brought in a technician with ties to Gibson to give the credence of a Ph.D to the study. 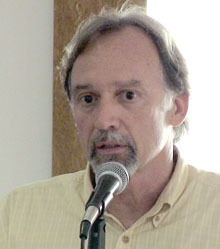 University of California Davis physics professor Thomas Cahill worked in conjunction with Craig to polish the study. “By the way, my sister is a friend of Supervisor Gibson,” Cahill said in an email to Craig. In 2008, Cahill began working to support Craig’s study before a contract to pay him more than a $100,000 was approved and signed. But because he conducted much of his work before the air pollution district signed his contract, U.C. Davis would not allow Cahill to charge state parks for his efforts. In an email to Craig, Cahill said he planned to manipulate the dates so he could get the state to pay him for his work. Meanwhile, Waage began doing research that he said showed flawed methodology and conclusions in the district’s study. Allen, along with several San Luis Obispo County supervisors including Adam Hill and Gibson, has repeatedly said that Waage’s claims are unfounded. However, the authors of the study stated in emails that Waage had discovered some of the study’s flaws. In 2009, Craig tells Cahill they need to be cautious because with a Ph.D. in chemistry, Waage, was checking the data, methodology and research conclusions. “This is why we feel we need to be super duper careful double checking everything prior to releasing the report,” Craig wrote. When Waage first attempted to download the about 300 pages of data gathered for the study, he discovered district staff had taken the excel spread sheet, converted it to a PDF, encrypted it, password protected the document and added “no copying allowed,” Waage said. Even though Waage and state park officials repeatedly requested to have a workable copy of the data, the district refused to allow easy access to the work. Waage eventually acquired the data which he shared with state parks. In addition, the emails uncover Gibson’s leadership role in working to keep the public from reviewing the data, research and study methodology. For example, in late 2009, Gibson forced an already publicized meeting to be canceled and Cahill to change plans to travel to San Luis Obispo. Gibson and Allen have argued that the board’s intention is not to create another stream of revenue but rather to protect public health. However, questions have been raised about whether data have been manipulated. Over the summer, an outspoken advocate to protect recreation at the dunes, Kevin Rice, uncovered and went public with the discovery that daily air quality ratings were being manipulated to make pollution levels downwind from the dunes appear unhealthy. Over a 10 month period beginning in 2010, Rice analyzed air quality forecasts. He found that nearly one-third of the time that the district had been informing the public that pollution levels were at unhealthy levels in the areas around the Oceano dunes, when the air quality was actually at healthy levels. At that rate, 100 days a year are miscoded to appear unhealthy. At a July 27 district board meeting, Allen confirmed they have been adding five points to the daily air quality index forecast as he and Gibson had earlier agreed to do. The alterations were a focused effort, Rice said. “Because they were only manipulating forecasts in Nipomo, it appears this was done to sway residents on the Nipomo Mesa,” Rice said. Allen did say, however, later in an interview with CalCoastNews, that the district offsets the numbers to conservatively protect public health. The air quality district board is scheduled to vote on the rule Nov. 16. If the rule is approved on Wednesday, it is likely state parks will mount a legal challenge. The state has said in letters to the district that the rule must first be legally and scientifically justified before the air quality district can impose fines on state parks. Numerous local and state officials allege that the district’s Phase II study includes numerous flaws because of poor methodology and the manipulation of data. Air quality district board member and Pismo Beach Councilman Ed Waage contends the study is flawed and wants the inaccuracies corrected. (1) The study concludes that vehicles on the dunes cause an increase in pollution levels downwind on the Nipomo Mesa. However, the district’s data shows that on weekdays the larger particulate matter blowing from the dunes is higher than on weekends when there were more vehicles on the dunes. The district rejected that methodology electing instead to compare the levels of dust blowing on the 50 days with the most vehicles on the dunes to the 50 days with the least, according to the district’s study. On the lowest use days, having an average of 379 vehicles riding on the dunes, the weather was primarily cold and damp and included eight days of rain. On the 50 busiest days, when the park saw an average of 3,738 vehicles on the dunes, the weather was primarily sunny and the ground dry making it easier for the wind to pick up dust, Waage said. (2) The air quality district study assumes that wind speeds measured at the California Department of Forestry fire station are representative of wind speeds at the dunes. During the past year, state parks has been measuring wind speeds at the dunes and reports speeds 70 percent higher then those measured at the fire station. The fire station stands behind several rows of tall trees. “Higher wind speeds will have a significant effect on some of the conclusions of the study so it is imperative that the more recent data on wind speeds be used to reevaluate those conclusions,” Waage said. The district also conducted the PM10 pollution level study at the fire station which sets on Highway 1 in Oceano. Waage, who has a Ph.D. in chemistry, criticizes the district for failing to consider the effect auto emissions had on the higher pollution counts it found at the fire station. (3) The air quality district proposed a year-long study and then added in an additional month. March and April are windy months causing more dust to blow in the air. Waage said the study’s additional March skewed the results. Instead of a program of fees and fines, Waage said he would like to see the adoption of best management practices at the dunes and a program of cooperation between state parks and the air quality district. I used to respect Gibson but it seems like one thing after another and it is becoming apparent that he is cut from the same crappy cloth. Same with Hill who has turned out to be Mr. Arrogance-in-Action. Seems like this fella Wagge is a sharp cookie and would be a good replacement. And as for Mr. Allen … I guess his suit is starting to unravel. Sure seems like a crooked enterprise. Respect has to be earned. Clearly, Mr. Gibson and Mr. Hill manipulated theirs. I meant Mr. Gibson and Mr. Allen. Sorry, Mr. Hill ! Just because the person running the enterprise is crooked doesn’t mean the enterprise itself is crooked. Clearly, our local AQCD has issues with ethics and honesty, which is corrupting its ability to do what it is supposed to do. We need administration that isn’t so willing to conspire with the County political filth, ignoring what the board is supposed to do and, instead, turning it into a big political game in which we, the people, will ALWAYS lose. Public arrogance, pigginess and corruption doesn’t go on forever no matter how iron clad, insulated, protected and plugged in the perpetrators think they are. Yes the public’s loss of confidence takes longer to happen than you think it should, but then it happens faster than you thought it could. Governments and their employees can lie, cheat and steal…until they can’t. Risk free is only risk free until it isn’t. I will be on the Andy Caldwell radio show on KUHL today at 4:30 p.m. to discuss this issue. Turn your radio dial to 1440 AM or listen live at http://www.am1440.com/home/. Oh geez Ms. Velie, why on earth would you go on that show…too bad. Keep your good reputation, stick with Dave. Good article. I would love to read those emails. I tuned in just long enough for Andy Caldwell’s voice to drive me nuts, and in those moments, you, Typo, got honorable mention from Karen for something you posted here. Yup, Karen mentioned that while SLORider and Typo have a tendency to disagree, that even Typo is in agreement with SLORider on this (or something like that). Andy does have sort of a whiny voice but he is right on target when it comes to picking up a news piece and running with it. He’s a smart guy and has a wide audience. I like his coverage and out spoken attitude. Wow, I feel honored,,,I think. But I do disagree about Caldwell, he’s pretty one track, he’s not diverse and he’s extreme in his beliefs. I go to at least a few functions that he goes to every year as he’s close to some of my family members and that’s all I’ll say about that. But this APCD topic is one that I believe everyone except for the BOS and APCD can agree on. This is a terrible injustice and I believe that both the right, the left and all in the center are sick of this type of nonesense. They need to stop wasting our money. Who, Caldwell is a lobbyist? I don’t know because yesterday was the first time I listened to him. Regardless, he has a wide audience that covers the Central Coast and many listeners that haven’t been introduced to CCN. It’s good that CCN expands it’s media through these other venues. CCN is non-partisan (as it should be). This is about issues that effect everyone. Like I said, I liked Caldwell, I liked his attitude. He say’s it like it is or at least he did yesterday. I’ll have to listen to more of him before I form an opinion of him for the long term. EEEK, all I need is more neo cons and repubs on this site.. ONLY cons listen to Caldwell and those are the only people that would generated from that show to read this website. He’s like Glenn Beck or Rush, very very extreme, absolutely no middle ground. I like having the GOPers and neocons here. I guess I just like diversity of opinion, even if I don’t agree with it. In addition to being a self-proclaimed “non-expert”, the UC Davis Delta Group was an author of a component of the dust study. So, we have a non-expert that is friends with the study’s authors! Maybe Michael Taylor was hoping for another sand fence building job? b) Peer reviewer Melvin Zeldin was the Executive Director of CAPCOA (California Air Pollution Control Officers Assoc.) at the same time that SLO APCO Larry R. Allen was serving on the Board of CAPCOA. The Board (with Larry Allen) directly controlled Zeldin’s employment and $131,000 salary. Mr. Zeldin was not capable of unbiased peer review when his very employment and salary were controlled by SLO APCD’s director. c) Peer reviewer Tom Murphy is listed as a Phase 2 Study participant on page 2 of the published report (http://www.slocleanair.org/pdf/PM2-final_report.pdf). How can a participant also be a neutral and critical reviewer? d) Peer reviewer Meredith Kurpius works for EPA, Region IX in San Francisco, which contributed $25,000 toward the Phase 2 Study. Kurpius could not provide unbiased and independent review as her employer and agency had a vested interest in the Phase 2 Study. e) Peer reviewer Karen Magliano is on regular conference calls with SLO APCD and they conduct frequent business together and are well acquainted. Magliano could not provide independent review. Peer reviewers did not have access to the study data. In fact, SLO APCD did not even have possession of all the study data until after the study was received by the Board. Almost every peer review letter was only a few sentences long, or less. It is not reasonable that an expert would look at a 106-page study and have nothing more to say then “looks good.” Melvin Zeldin was the only reviewer that shared any thoughtful comments. A peer review from Eugene Kim at CARB was never shared or released. What did it say? WOW!! That’s just as interesting as the article, that’s amazing and sickening at the same time. I think he’s got teflon in his beard. Never gets any egg on his face. He seems to regularly get caught with his hand on a thing that would cripple a regular “elected,” but he invariably comes away unscathed. Scandal/provacation/commingling just slide right off. Gibson should do the right thing and step down. This is the kind of stuff that shows how corrupt and out of touch our government really is. The APCD money hungry power grab needs to stop. How about an occupy SLO County movement? Yeah, and we’ll have our own danged microphones. I wonder how Hill would handle it if he couldn’t use the bully-pulpit of the supervisor’s throne to silence opinions with which he disagrees? They lie to us for own good. We’re the governement and we’re here to help. The beatings will stop when moral improves. This is out and out fraud. At what point does the SLO County District Attorney get involved in investigating the actions of the SLO APCD, some County Supervisors and some “scientists”? Our DA is a piece of dung. “At a July 27 district board meeting, Allen confirmed they have been adding five points to the daily air quality index forecast as he and Gibson had earlier agreed to do. Sounds like a criminal conspiracy to me. How about it Mr. DA man? Another example of govt. run-a-muck! I will be on the Bill Benica radio show on KYNS today at 1 p.m. to discuss this issue. Turn your radio dial to 1340 AM or listen live at http://calcoastnews.com/slo-talk-is-cheap-with-bill-benica/. Interesting to see that some comments on this thread were “dumped” apparently regarding Karen being on Bill Benica and then a couple of comments mentioning Dave Congalton. Curious; Karen, do you have anything you wish to ad to the conversation about which radio programs you are appearing on? What did I miss? I leave the room for a few hours and look what happens! What does Dave have to do with this. I’m always the last to know. Karen mentioned on Bill Benica that she and Dave have had a disagreement so she will now be on other programs more often. She didn’t say much else. Looks like the other stations are going to start picking up CCN’s stories now. Wow, I’m bummed to hear that, I thought that they complemented each other. This is like when your parents break up. :(,, say it ain’t so! Geez, I really don’t like those other stations.